Bungie's popular first-person shooter makes its debut on the Xbox 360 with Halo 3. Halo 3 represents the third chapter in the Halo trilogy an international award-winning action series that grew into a global entertainment phenomenon, selling more than 14.5 million units worldwide, logging more than 650 million hours of multiplayer action on Xbox Live, and spawning action figures, books, a graphic novel, apparel, an upcoming film adaptation, and more. 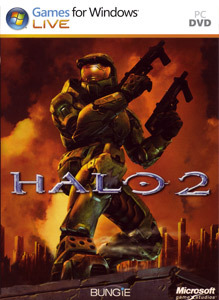 Online multiplayer: Working in concert with Xbox Live on Xbox 360, Halo 3 builds upon the unique social multiplayer experience and innovative, evolving online gameplay of Halo 2. Halo 3: ViDOC Is Quisnam Protero Damno! After 9/25/08, complete Halo on 4-player Legendary LIVE co-op, with Iron, and everyone in Ghosts. On a Legendary map, get two Double Kills during any ranked or social match. On a Legendary map, get 3 Oddball melee kills during any ranked or social match. On a Legendary map, get 3 assassinations during any ranked or social match. On a Legendary map, get a flag melee kill during any ranked or social match.